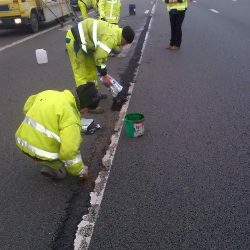 IKO road offers a whole host of products to fill (expansion) joints and cracks in road surfaces. 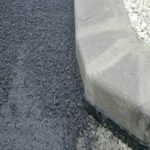 There are products for both concrete and asphalt. These products can be used in new buildings and renovation projects. Primers and accessories, such as joint sealing strips and joint boards. 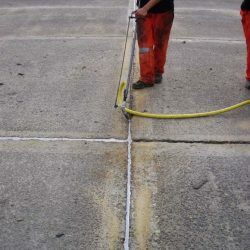 Elastic Sealing Compound for cracks in concrete or hydrocarbon surfaces. Elastic Sealing Compound for joints in concrete or hydrocarbon surfaces. Elastic sealing compound -hot applied- for sealing wide joints in bridgeheads and as joint between concreet and asphalt roads. Single component, permanent elastic bitumen elastomer based compound. Low modulus 1-k mastic based on polyurethane for construction joints subject to medium levels of movement..
Pouring grade antkerosene sealing permanent elasticity for horizontal joints. Transparent resin primer for polyurethane mastic on concrete. 2 component reactive bituminous joint and crack sealer. Cold applied. Joint filler extruded polyethylene foam resistant to high temperatures. Joint plate for in concrete. 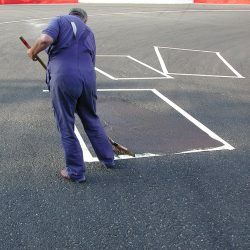 Bituminous strip for joints between asphalt layers. 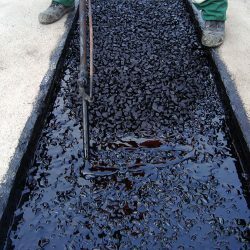 Prefabricated self adhesive cold applied bitumen-polymer tape.